One of my favourite releases of 2018 so far is Target Earth, the excellent recent album by New Zealand kings of garage rock n roll The Cavemen. It's packed with primitive stompers that are both "batshit crazy" and very tuneful (https://slovenly.bandcamp.com/album/the-cavemen-nuke-earth-lp). The band that feature on today's update compare very favourably to them (which is as good a compliment as I can think of). 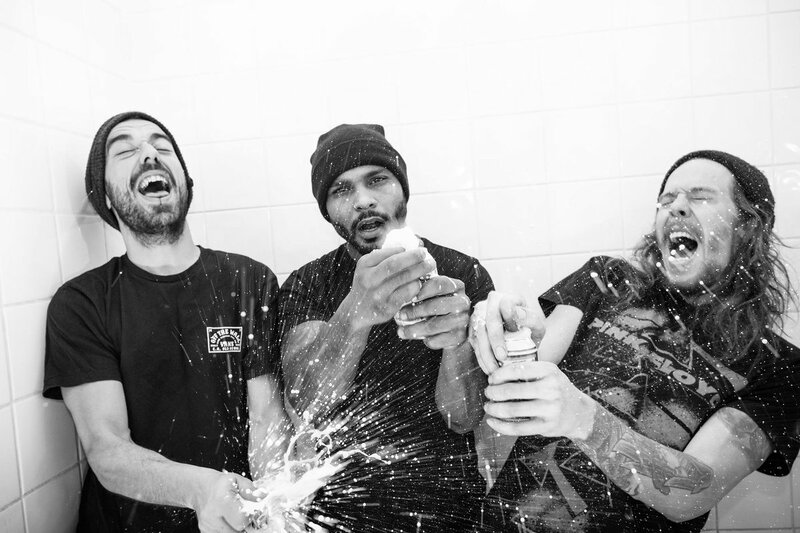 Hood Rats are from Montreal and they're bringing out a new album titled Trash Party. It's going to be on one of the year's most exciting labels, Girlsville (I recently featured their reissue of Coachwhip's Night Train album and they also released a couple of excllent demos and rarities comps by The Pristeens).